For thousands of years Aboriginal people in Australia have used Emu oil to relieve muscle pain, helps reduce inflammation and swelling. 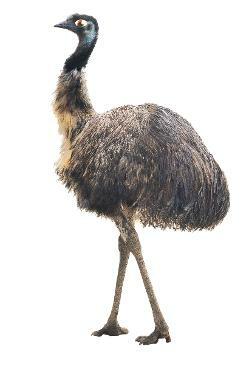 The Emu is a large flightless bird that is unique to the Australian continent. When used as a therapy, Emu oil is readily absorbed into the skin. The application of emu oil to assist healing was first documented by G. Bennett 1860 "a topical embrocation for pain relief from sprains and bruises even in horses and cattle". 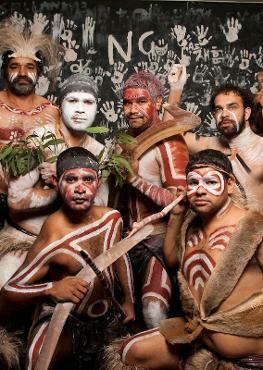 The Wiluna communities emu farm 1000 kilometers from Perth in Australia's rugged outback first produced, under Government supervision, emu products for traditional use. When joint or muscle pain hits, most people reach for tablets. However, there is a better alternative that will have no ill-effects on the digestive system or other organs in the body like most painkillers do. Skin lotions such as emu oil for arthritis are absorbed through the skin and get right to work in relieving pain or stopping it altogether. They work quickly because you don’t have to wait for them to get into your bloodstream. Since the emu is a native of our country, when it comes to emu oil Australia has been in the forefront of development and usage. During this period our experience with emu oil has been entirely applied to use on the Muscle/Joint. Many people have found wonderful relief with the range of cool emu massage oils, especially those whose arthritis pain presents as a hot feeling. However some prefer their emu massage oil Hot as warmth is known to help absorbency as well as relieve pain, especially in cold areas or in the winter time. Australian emu oil cream is a valuable addition to any first aid cabinet. When you are in pain, you don’t always feel up to shopping to find relief. Having it ready in the cupboard means you will be prepared at all times to deal with pain, even in the middle of the night. Emu oil contains high amounts of polyunsaturated fatty acids (PUFAs) which is made up of smaller particles, allowing it to carry many health beneficial compounds to deep layers of the skin. PUFAs help reduce inflammation, ease muscular pain, and arthritic joint pain. Emu oil appears to provide significant benefit to recent bruising and muscle pain where the injury is relatively superficial. The treatment being the massage and compress combination previously described. Similarly, sports related muscle strains have been significantly reduced with a post-exercise emu oil massage. Some trainers and masseurs are using this in preference to other oils, again indicating a superior anti-inflammatory action over commonly used embrocation. The benefit of emu oil on joints to reduce pain, swelling and stiffness is most evident where the joint is close to the skin surface, such as hands, feet, knees and elbows. Deep joints such as the hip do not appear to respond. Stiff joints, particularly as seen in hands, is one area where massaging emu oil is of considerable benefit. The method used is to massage oil two or three times a day into the painful area . Since arthritis is associated with inflammation, topically applying Emu oil may help in the reduction of that inflammation. These pain relief aids incorporate Emu oil as a carrier oil to help bring other substances deep into the dermis where relief is needed. Emu Oil is recommended for the relief of arthritis and muscular aches and pains. Previous studies have demonstrated the anti-inflammatory effects of emu oil on a variety of ailments and shown that it may reduce the swelling and inflammation and increase joint mobility . Emu oil also has the ability to readily cross the skin barrier so that when it is rubbed into sore muscles and joints the anti-inflammatory factors in the oil rapidly reach the targeted areas. Used for centuries by the original inhabitants of Australia, emu oil has reached a point of usage where proper clinical studies need to be done to determine its true place in the medical armamentarium.